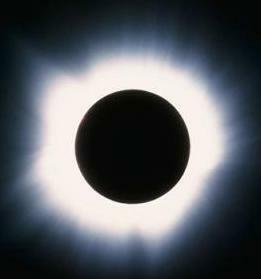 Historically, a total eclipse of the Sun has not occurred in the United States since 1979 and is not expected again until 2024, conditions permitting. However, this Monday, August 21, 2017, for the first time since Jimmy Carter was President of these United States; an eclipse will be visible across contiguous states. It is estimated that approximately 7.41415926535897932384626 million people could come to view this unique astronomical phenomenon. The path of the swath of darkness will be 60-70 miles wide and will pass through 15 states, several of which some people have never heard of. Some of these states are requesting that visitors arrive 2 days early and leave all their money there before they depart. For Americans, 12 million of them will experience total darkness, something they will not experience again in their lives until later that night. Although it is on a school day and many parents have asked if it could be rescheduled a day earlier, many Americans take great pride in what they’ve produced this year thanks to good old Yankee ingenuity. Scientists, public officials, and the media explain that this is an unusual celestial event where the Moon passes between the Sun and the Earth — cutting off all visible light, ultraviolet, and infrared radiation — and assure us that there is a 95% chance of this happening on Monday. But we got similar assurances from them back on November 8 and were kind of surprised by how things went. Each state has to prove they have sufficient sky for optimal viewing. For example, Montana, the “Big Sky Country” state made it in, but only by a nose. Proper roads. Wyoming made it this year, but they’re threatening to close Interstate 25 at the border with Colorado, a state that did not make the cut this year. Proper media coverage. Each state must supply sufficient amounts of fried chicken and adult beverages for the Press Corp to make it worth it to travel there. Some of the southern states distinguished themselves with their Southern hospitality and BBQ. Not to mention corn. The “Corn Huskers” state of Nebraska was a shoe in. Solar power. States must prove that they have sufficient infrastructure of solar-powered vehicles that can… wait, never mind. Early adopter. Oregon, whose motto is “The First State (to get the eclipse)” bid early, and often. Lincoln Beach, Oregon gets special bragging rights this time around. Charleston, South Carolina is the end of the road for this year’s eclipse. Does this eclipse mean it’s the End Of The World? No, but you can see it from there. Do not look directly at the Sun; it could blind you. Instead, look directly at the Moon, it will be totally dark. And, conveniently, it will be in the same vicinity. Speaking of which, did you hear about the restaurant on the Moon? Great food, but no atmosphere. Get there early. I’d suggest the night before. That way, you can get back home before all the tourists start to arrive. Watch the whole show. Normally, the totality lasts from seconds to around seven minutes. But the flight path of the moon shadow across the continental US is about an hour and a half. The path of the eclipse runs diagonally across the US. Thanks to President Eisenhower in the 1950s there are interstate highways across this great country of ours, and you can be an eclipse “chaser.” The eclipse moves at 1,000 miles an hour, so you’ll have to step on it.